Get a head start on wishing your client or customer a happy birthday. Wish your clients a happy birthday 1 day, 2 days or even up to a week ahead of time! 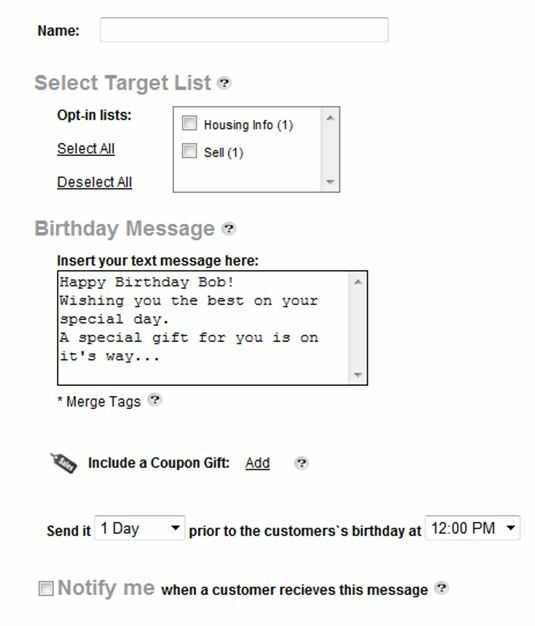 Businesses can attach a coupon at the end of the SMS, or offer other great gifts. It is all up to you to personalize your message. 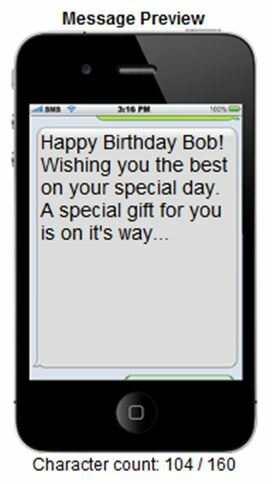 Receive a notification so you know for sure that your client received his or her birthday wish! Have your clients market a Birthday VIP Club – Example Text Birthday to 71441 to receive special offers on your special day!